Hi friends! Hope you’re having an awesome week! It’s almost my favorite day, Fri-YAY! 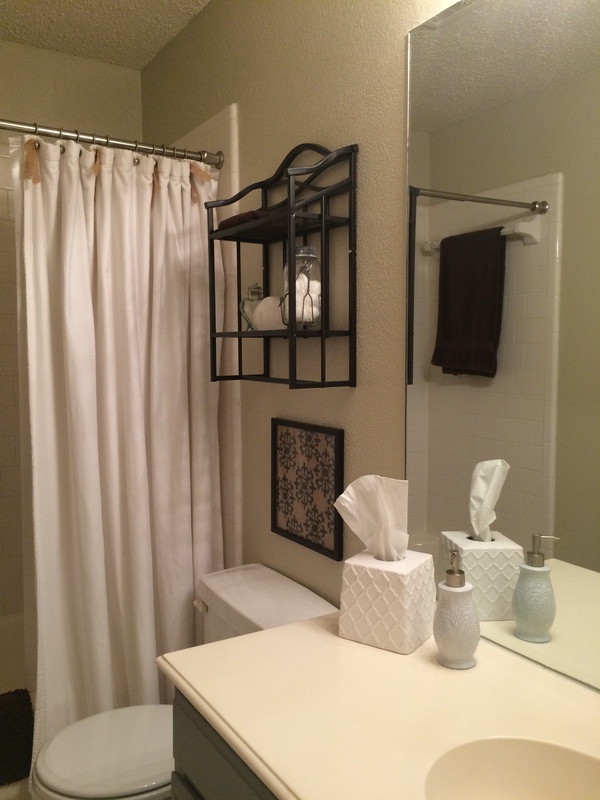 Recently I shared our guest bathroom makeover with you. I mentioned that I would be featuring our bathroom wall art soon – a fun, easy project for any DIY-er! Step 1: Purchase frames and burlap. I purchased frames from Hobby Lobby for $12 each. Any frame of any size will do depending on the space you are trying to fill. I purchased my burlap from the Hobby Lobby fabric department as well. There are all sorts of shades and patterns of burlap. Get creative! Step 2: Purchase paint and a small brush. 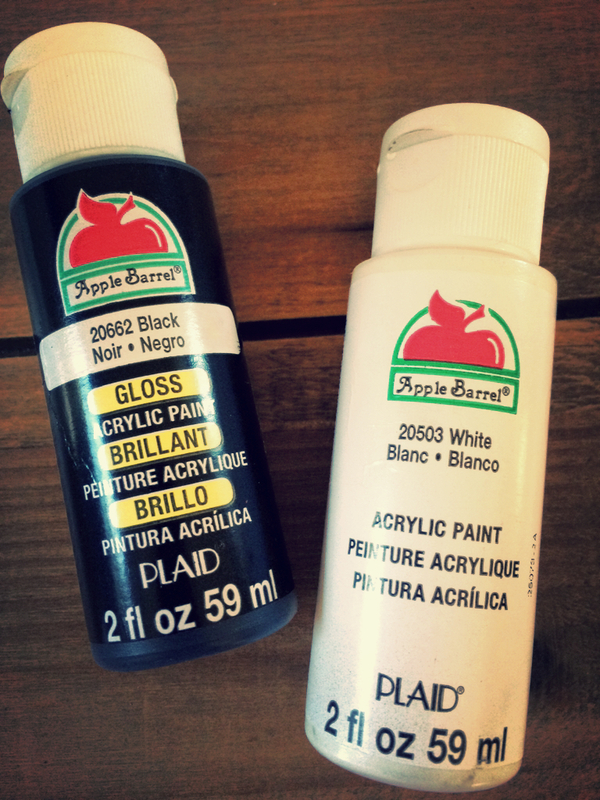 I purchased this black paint and a package of small paint brushes from the craft section at Walmart. You can find similar materials at any craft store. Step 3: Set up a work space. I used our kitchen table, but made sure to lay out newspaper first. Some of the paint will bleed through the burlap so having cardboard or newspaper under your burlap will help keep your space tidy. Step 4: Let the stenciling begin! I chose arrows and a fun damask-looking pattern. Arrows are a very “in” design! Decor Tip: The best part about repeating a pattern is you can repeat it in any way as few or as many times as you like. It’s YOUR art. Step 5: After the paint has dried, insert your burlap art into each frame and decorate your little heart out! 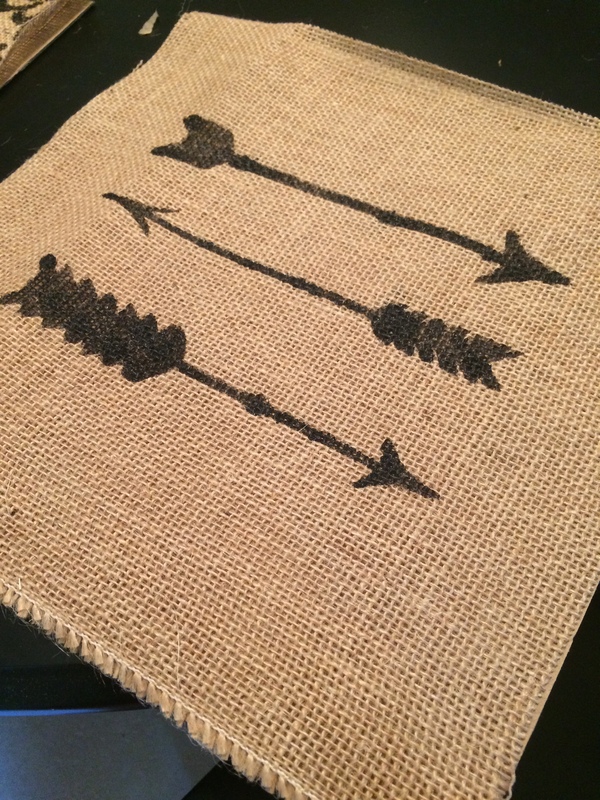 Stenciled burlap makes cute decor for your home and cute gifts for others! 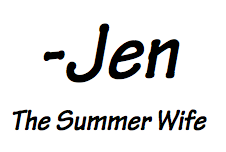 You may want to stencil a friend’s initial or monogram. 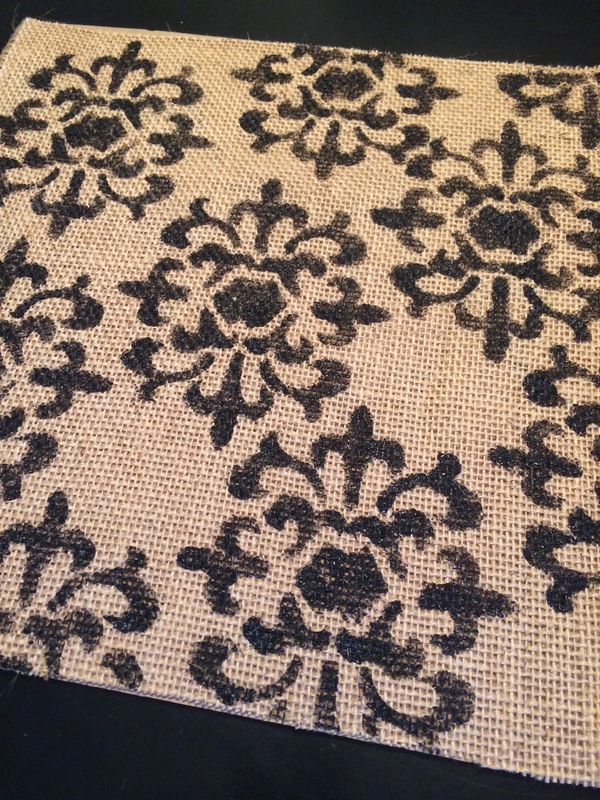 Stenciling on burlap is an easy was to decorate for a party too! 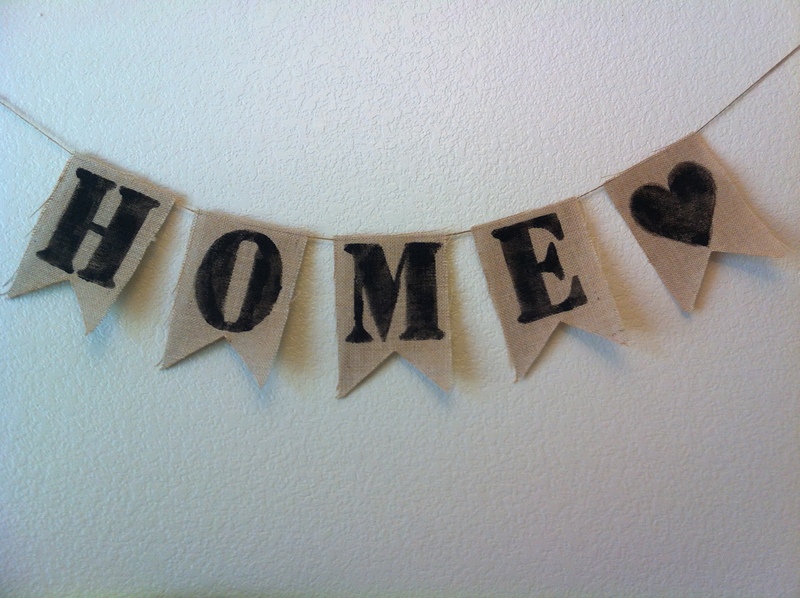 Last summer I stenciled two banners for our Housewarming Party. Welcome banner on a fence is so cute for a backyard BBQ! What other types of easy wall art have you framed or created? I’d love for this to be a place to share ideas.